This is a very hard post for me to write, I have been thinking about what I will say, and how. All of my siblings, and most of the nieces and nephews met again in the small rural town of Mulliken where we grew up to say goodbye to Mom. The funeral was non-traditional, led by my brother Jeff, with remembrances and sayings by many of our family members. While saying goodbye was hard, it was so nice to be able to do so with all of my siblings, and laugh and remember. To me my Mom was my teacher in so many ways. She was the typical teacher that most mothers are to their kids, teaching skills and behavior important in life. While she held many professions in her life, she most identified herself as a teacher, having received a teaching certificate from County Normal about the time that this photo was taken, to teach in a one-room schoolhouse. She continued to teach in schools on and off throughout most of my childhood. 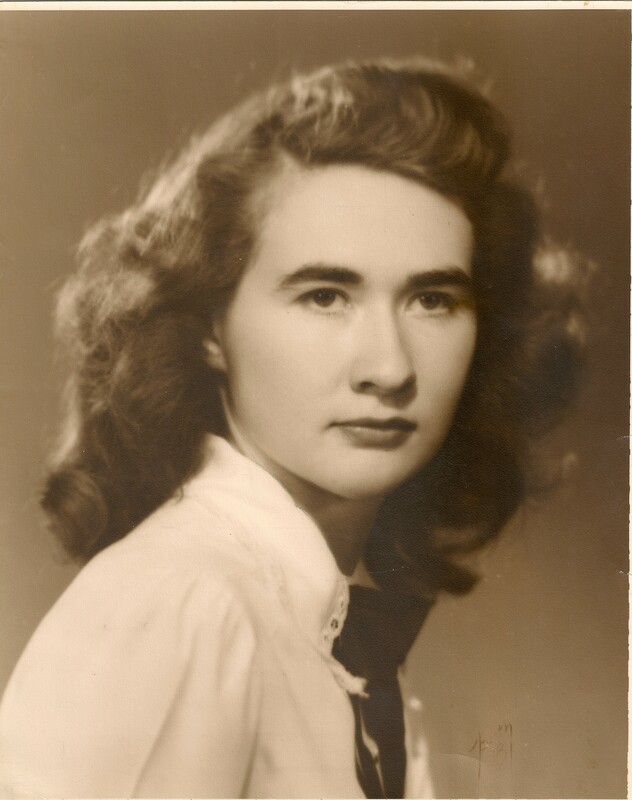 She was also my first teacher of crafts, and the one who was patient enough to sit with a 6-year-old at a sewing machine, and teach a 7-year-old how to knit (she was left-handed and German descent, so I have a very unique knitting style). I was the only child of 10 who embraced crafts while growing up. This gift has helped me tremendously over the years, in particular through tough times. Growing up in a large family, we did not have much money, and she knew how to make it stretch, and how to always be fair with everyone. She sewed beautiful clothes for us as we grew, and taught me to sew my own. 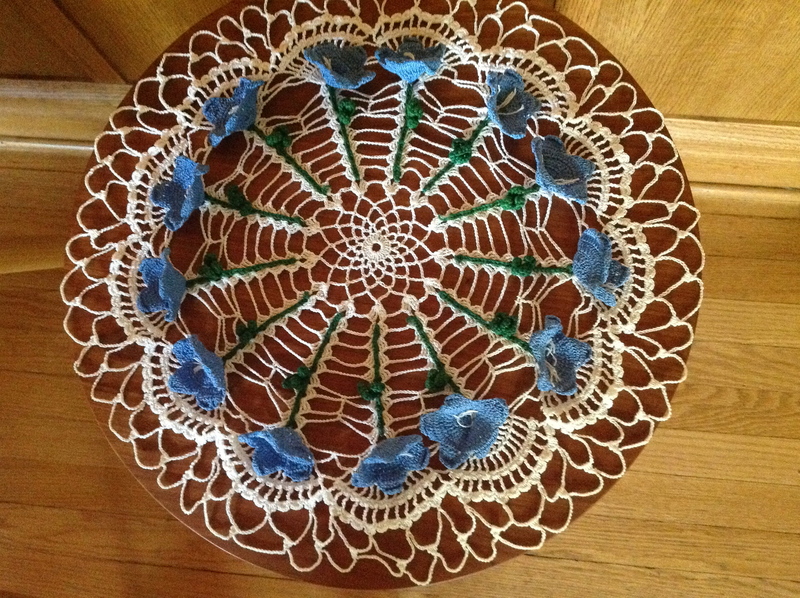 After many of us were grown and on our own, when she finally had some free time, she developed a love for crocheting doilies. 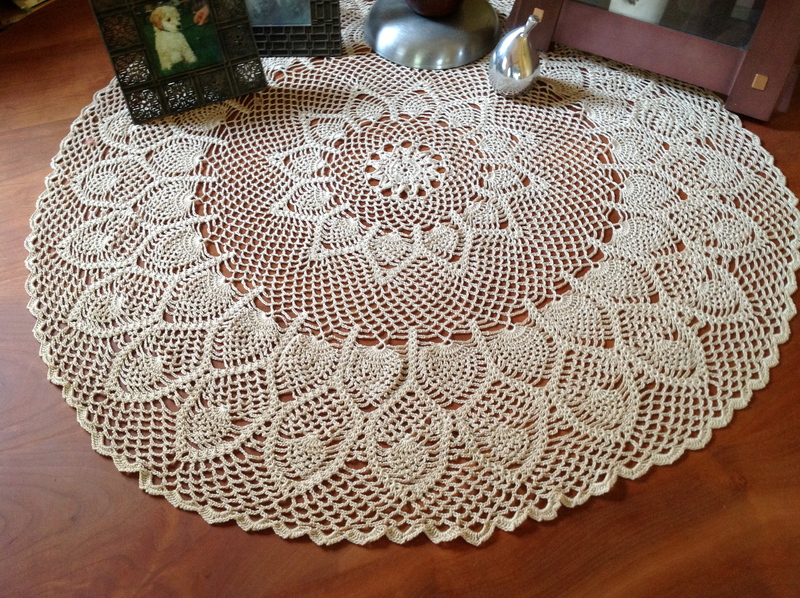 I have some amazing works of art from her, this one my son proclaimed her an artist when he was 6, she made a large doily like this for all of the kids. They truly are works of art. 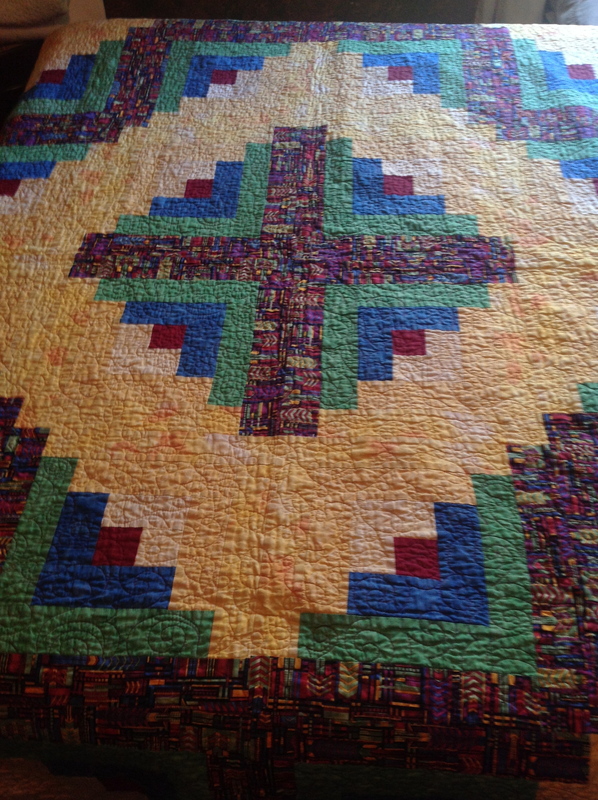 Many years ago I gave her a gift of fabric and a quilting book. I had taken a class, and made a couple of quilts, and I thought she would enjoy this also. She embraced it with fervor, and made many many quilts. One special one for each child, incorporating something that they loved. For me she picked a Frank Lloyd Wright fabric, and the log cabin quilt block pattern. I love this quilt. I will miss Mom, but think of her every time that I sew, knit or quilt, which hopefully will be most days. One of my favorite photos from my childhood is the oldest 6 girls lined up, Janice at the left, and Anita at the right, shortest to tallest. We were all wearing matching summer outfits that my mother had sewn for us on her Zenith sewing machine, replete with rick- rack and machine embroidery. When I was young, I embraced the crafts of sewing and knitting that my mother was able to teach me. Knitting in particular has been an important part of my life, giving me comfort during difficult times. From age 12-17 I had numerous operations on my legs, and Mom set me up with my own business to knit Barbie Doll clothes and sell them at a craft cooperative; that money allowed me to buy my lovely Arabian/Quarterhorse Jimmy. Horses were my other salvation during those difficult years. The day that I got my cast off from the most recent surgery, I had my mother promise me that I could ride Sissy. She would saddle her up for me, help me from my crutches onto the horse, and tell me to only walk. We just walked until I was in the neighbor’s field, over a hill where I thought Mom could not see me and I put her into a full gallop, feeling free. I always thought that was my little secret, until years later when I had my own kids and Mom told me that when she saw me galloping on the horse, she just prayed that I would not fall off and break that leg. She had let me repeat this scenario numerous times without ever saying anything. As a parent, I do not know how she let me fly away on that horse, but as a daughter, it was one of the greatest gifts she gave me. When you need a hug from Mom, wrap the quilt around yourself. Beautiful, beautiful post, Frances. Wonderful tribute to your Mom. So sorry to hear of your mom’s passing. How wonderful she left you with all of her beautiful talents; she’ll always be with you.